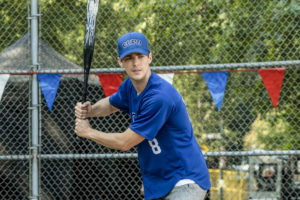 The fourth episode of The Flash‘s fifth season introduces multiple new elements that further develop the origins of this season’s main villain and go deeper into the family dynamic between Barry, Iris, and Nora. With the inclusion of Spencer Young, a fellow blogger who rivals Iris, we learn that both her and Cicada received objects enhanced with meta-like abilities following The Thinker’s attempt at The Enlightenment last season. With Young’s phone she is given the ability to influence people’s decisions through her app, while Cicada’s bolt-shaped shard de-powers meta-humans. Kids these days. Always on their phones. Where “News Flash” strives in its storytelling are the moments between Barry, Iris, and their future daughter Nora. In this episode, we learn the reason Nora has been so resistant towards her mother is because future Iris suppressed her meta-humans abilities for the majority of her childhood leading up to adulthood. This adds a new and fascinating dynamic to their relationship, as we assumed that Nora only gravitated more to Barry because in the future he disappeared and never came back after a certain crisis. Both Jessica Parker Kennedy who plays Nora and Candice Patton who plays Iris deliver heart-breaking performances in the moments where Nora explains how she felt, knowing there was something different about her but never knowing what, and Iris feels guilt and regret for an action she hasn’t even done yet. This episode’s villain-of-the-week, while not the most compelling, does allow Team Flash to discover the reason for both hers and Cicada’s meta-objects. Her reason for being ends there, but does allow for a satisfying story involving Nora being influenced by the headlines on Young’s app. With this ability Young is essentially able to make stories happen, allowing her to be ahead of the curve when it comes to news stories in Central City, surpassing Iris’ own blog. 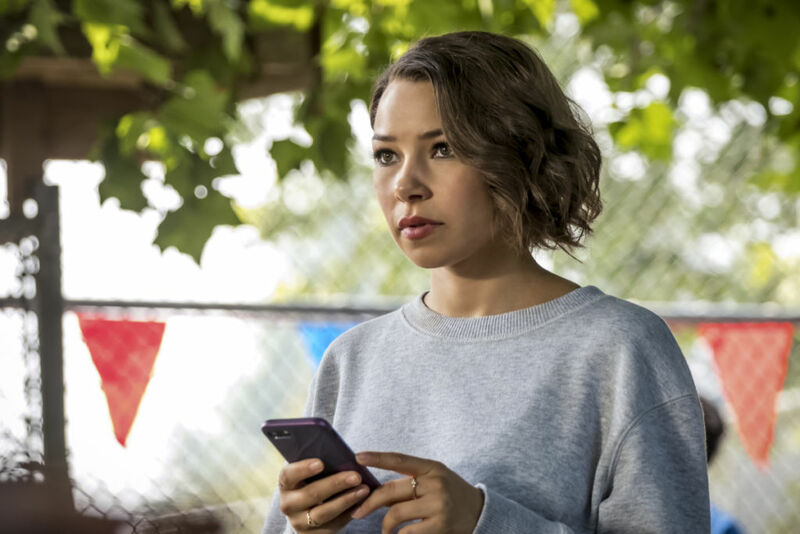 Young’s actions eventually lead to Nora, or XS, becoming influenced to kill The Flash, though thanks to a tranquilizer from Iris this does not come to be. The heart-breaking conversation between both Nora and Iris arises after the episode’s climax. Despite what has happened and what Iris will do in the future, Barry believes that whatever reason Iris has for suppressing Nora’s abilities has to be a good one. As good parents should, both Iris and Barry stand by each other despite Nora’s feelings on the matter, leading to Nora making the decision to stay at Papa Joe’s. There are a few reasons Iris probably does this in the future. One being she just doesn’t want Nora to take on the responsibilities of her father and get hurt or worse in the process. More specifically, Cicada is never caught in the future, which will continue to make Nora a target. So, either way it is understandable as to why Iris does what she does, but at the same time it’s very understandable why Nora feels the way she does. She didn’t just have her meta-human abilities suppressed, she had part of what makes her who she is taken away from her. “News Flash” also features a B plot involving Sherloque Wells and Ralph investigating the crime scene where Barry fought Cicada and coming to a conclusion involving Cicada’s mask. Through the intent interest of Ralph, Sherloque figures out that Cicada has damaged lungs which the mask helps him control. As Sherloque started out by blowing the mask off as nothing more than something to conceal Cicada’s identity, he gives credit where credit is due by acknowledging Ralph and his interest in the mask, as he would have never come to this conclusion without it. Ralph being thanked and acknowledged by Sherloque makes Sherloque a bit more likable and not just the cocky detective he was when we first met him. While “News Flash” definitely goes to some deep and sentimental places, it isn’t without its humor. The episode begins with a hilarious bit with Iris trying to show off her motherly side and make lightning bolt shaped pancakes for breakfast, which don’t turn out so great. This leads to Iris confidently exclaiming she’ll make Barry a banana. Additionally, Barry is shown as totally inept at sports when playing at a company baseball game, though we are left wondering why Barry doesn’t use just a little of his super speed to run to first base. “News Flash” is both a satisfying and compelling episode overall. It adds new elements to the season, further developing the family dynamic between Barry, Iris, and Nora, and introducing new character elements, such as Sherloque’s admiration for his fellow detective and the discovery that Nora is gay following a brief scene with her flirting with Spencer Young. More LGBT characters and diversity is always a good thing to see in the Arrowverse. The episode does end on a bit of a sad note as Nora separates herself from her parents and stays at Papa Joe’s, but I’m sure the three of them will be able to resolve their issues eventually before it ends up blowing up in their faces. Cicada is still on the loose and Team Flash needs to be united to take him down, especially after we discover he has been given meta-human abilities himself as the episode concludes with him demonstrating his newly granted super strength.